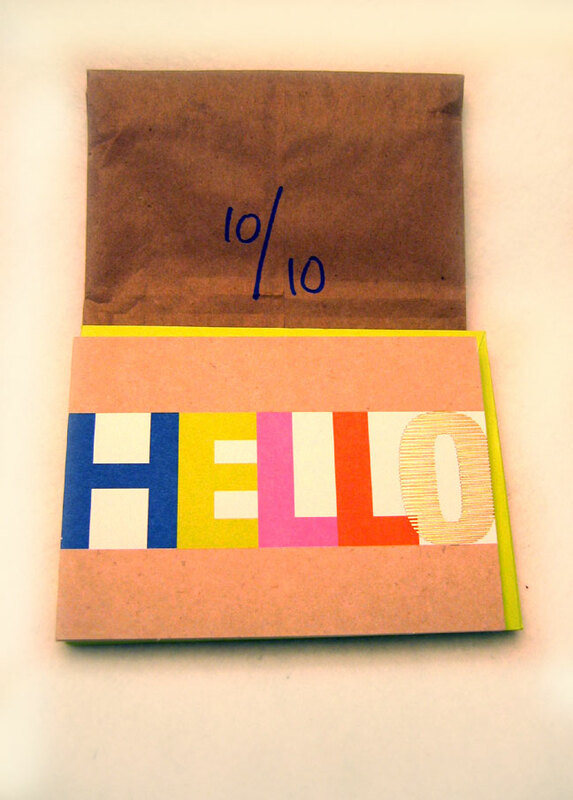 October 10: HELLO note cards. There’s nothing like a hand written note to brighten someone’s day. I must use these! 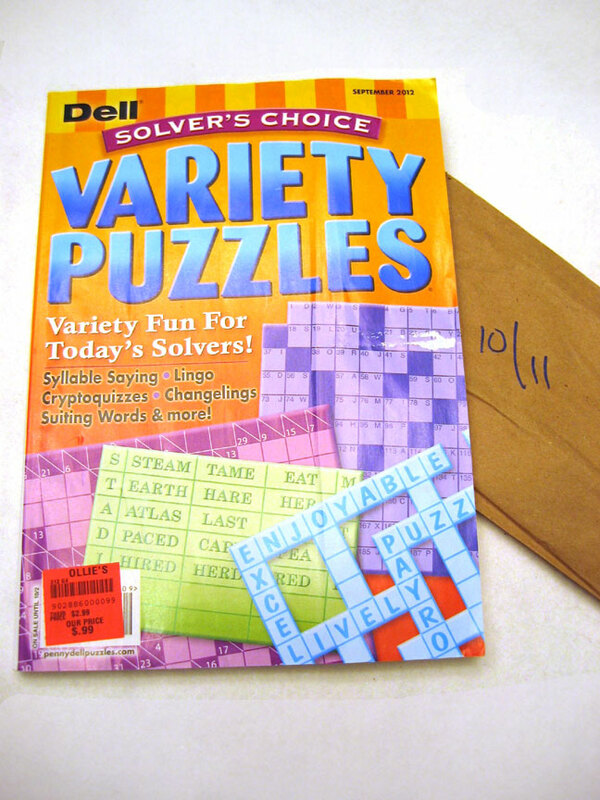 October 11: Puzzle magazine. Crossword puzzles are my favorite but I also like other puzzles and I will have a lot of fun with this! 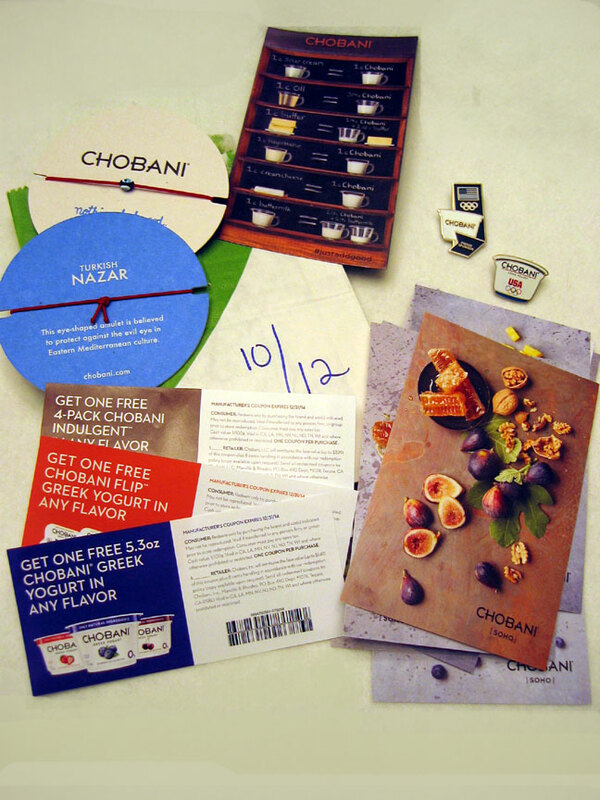 October 12: Chobani recipes, measurement/substitution magnet, two Chobani Olympic pins, two bracelets, and coupons for free Chobani yogurt. 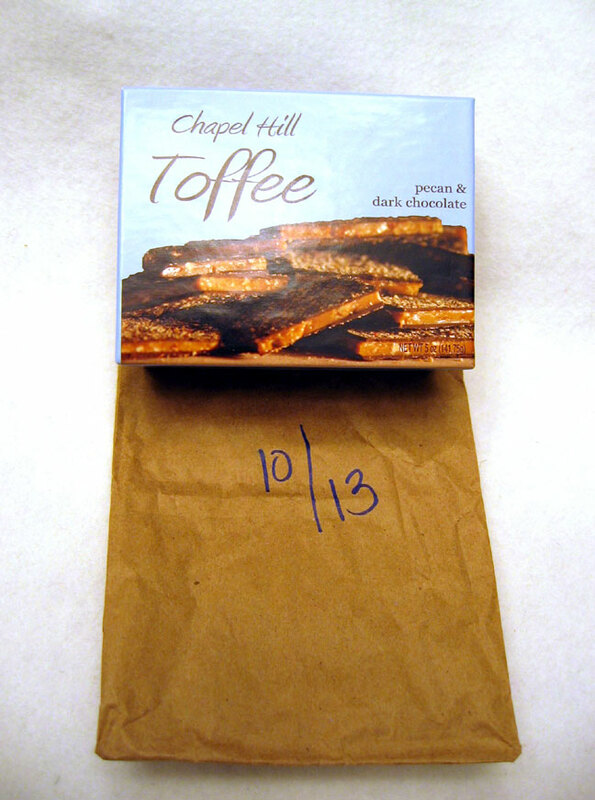 October 13: Toffee. Yum. Yum. YUM! 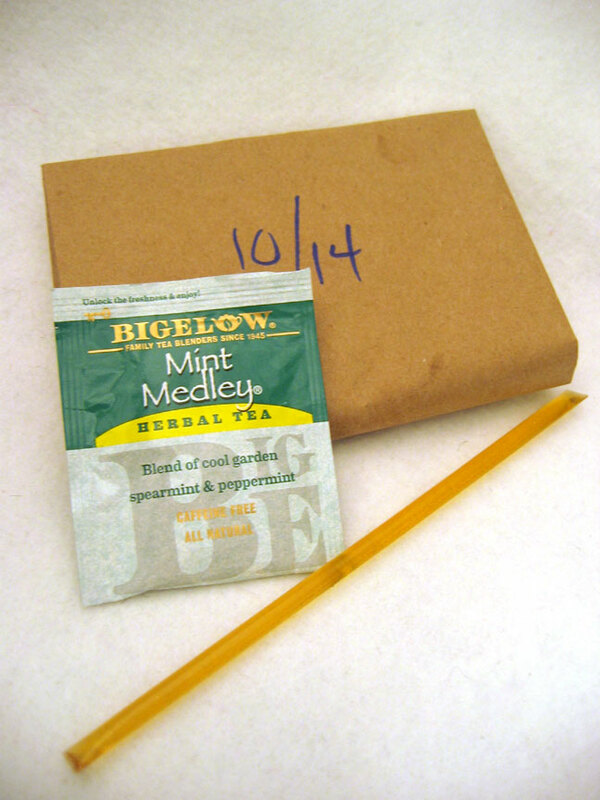 October 14: Bigelow® Mint Medley tea and a honey stick. I sometimes drink a cup of mint tea to help me get to sleep at night. 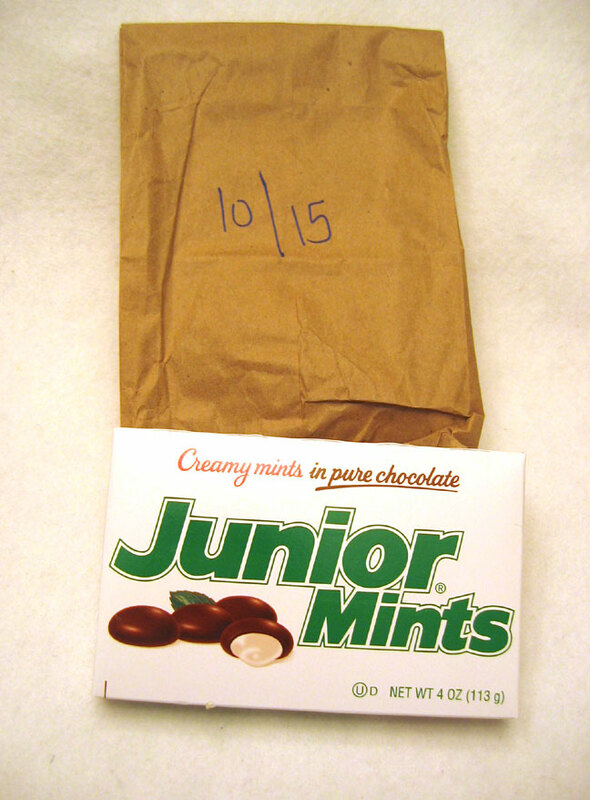 October 15: Junior Mints. The creamy, smooth filling just melts in my mouth. 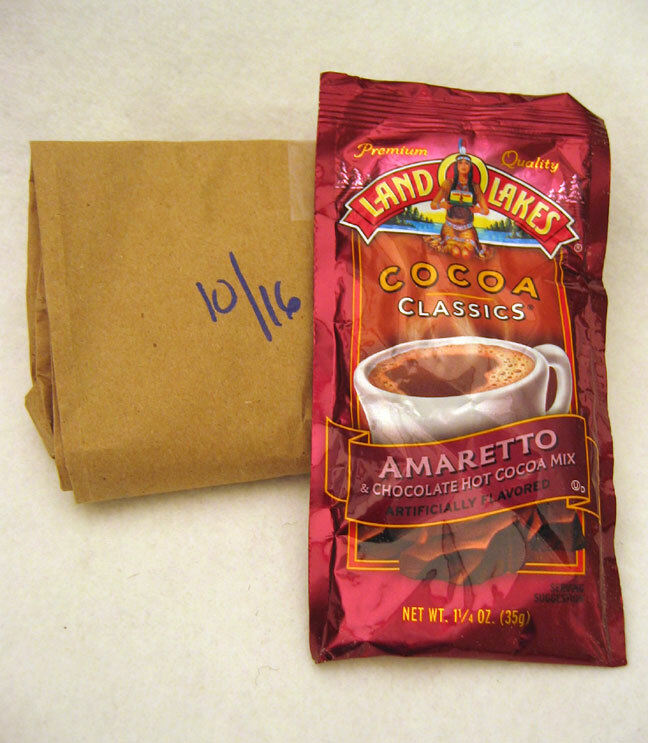 October 16: Land O Lakes™ Amaretto Cocoa mix. I love flavored cocoa mix and used to add amaretto or hazelnut creamer to plain cocoa to make my own decedant, flavored drink. I will enjoy this on the next cold day. Eleven more days of fun treats! This entry was posted in birthday wishes and tagged birthday wishes, gifts, treats by Patti_is_knittinginflashes. Bookmark the permalink. How does on think of all thos goodies. I have really enjoyed everything that she sent me so far. She did a great job with it. I emailed Chobani to let them know what I was putting together and asked if they could send coupons. The incredibly kind customer service rep sent me a whole bag of goodies for you! What will you do with a chobani bracelet? No idea, but it is proof that customer service does still exist! Clever idea to contact a company like that. Great timing, too, as I only have a couple cartons of yogurt in my fridge.